﻿It is, they say, better to be lucky than good. My Miss Aurelia is both. 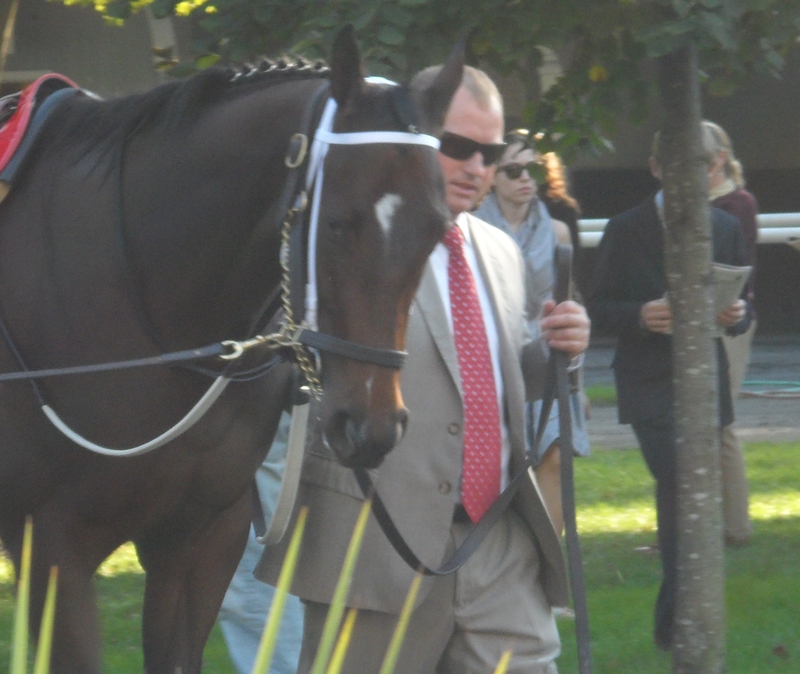 She won her first start, at Saratoga on opening day. 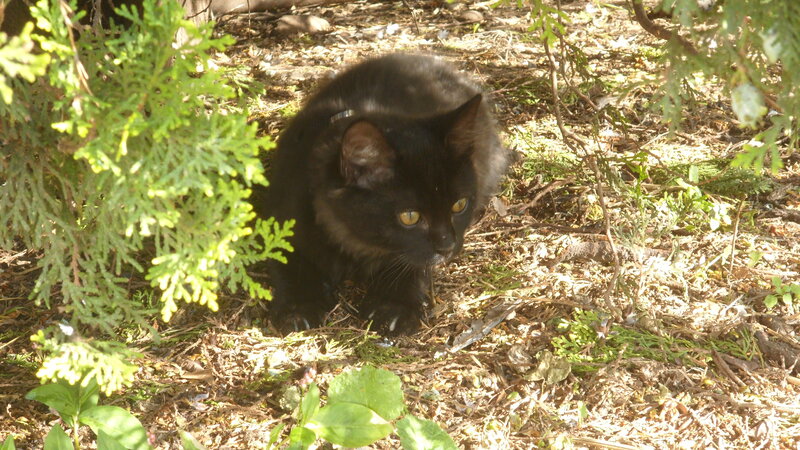 And when her connections went back to the barn that afternoon, waiting for them was the tiniest of little black kittens, curled up in the shedrow, not more than a couple of weeks old. She was named Lucky, and she became My Miss Aurelia’s talisman. Or, more accurately, her second talisman. At Saratoga that afternoon was Aurelia Bolton, the Miss Aurelia for whom the filly is named, and she hasn’t missed one of her namesake’s races: not the maiden win, not the win in the Grade 2 Adirondack at Saratoga, and not yesterday’s win in the Grade 1 Frizette at Belmont. “Barbara Banke and Jess Jackson and our son George decided they were going to name the filly for me, and I was overwhelmed. Imagine how I feel today,” she said yesterday in the winner’s circle. George Bolton owns My Miss Aurelia in partnership with Banke’s Stonestreet Stables. “It’s been so flattering to be involved with a filly of this caliber, and with Barbara and her late husband Jess Jackson, and George,” said Aurelia. And while Aurelia has played the role of good luck charm on the front side, Lucky the kitten has done her part back at the barns. 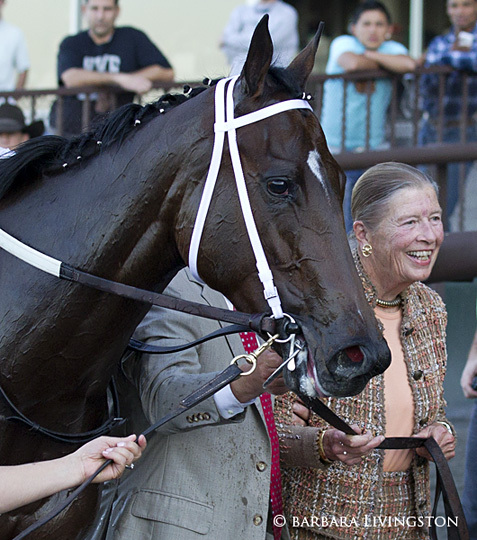 Amassing a Saratoga fan club that rivals Rachel Alexandra’s, Lucky entertained guests all summer, under the watchful eye of the woman who found her, Amy Kearns. Years of acting as the “security foreman” for the Stonestreet horses, including Horses of the Year Rachel Alexandra and Curlin, honed Kearns’s skill; horses worth millions were a lot easier to keep track of than an intrepid and inquisitive kitten. When the Asmussen barn and the Stonestreet horses shipped south from Saratoga a couple of weeks ago, Kearns and Lucky came with them; the kitten, now about 12 weeks old, adapted with alacrity to her Belmont home, as apparently, did My Miss Aurelia, if her performance yesterday is any indication. Now, the original Aurelia goes home to Maryland, while Lucky, Kearns, and My Miss Aurelia are headed to Kentucky, where in a few weeks’ time, they’ll likely be joined by the filly’s namesake. I don’t see why one good-luck charm comes to the winners’ circle and the other one doesn’t. Totally unacceptable. She actually was the most impressive horse yesterday, running a higher Beyer than Union Rags did in winning the Champagne. If she can somehow control her speed and rate, she could have a big edge come next spring if she advances further. I had a feeling we’d hear from you on this, Susie. Perhaps we can petition the powers that be. I thought she ran a great race, Walt. Looking forward to seeing her in the Breeders’ Cup. Agree on My Miss Aurelia. The question will be more, if she continues to progress and win, will there be the pressure on the connections to face males in the Derby and so forth. I also wrote another long reply in the last blog on Jamaica concerning the inner track at Aqueduct here at: http://www.brooklynbackstretch.com/2011/10/07/good-bye-jamaica/comment-page-1/#comment-13180 (link goes directly to the last blog).